It is Product Swap time again!! I feel very fortunate to have been paired up with such an amazing teacher and blogger. I decided to do this entire post in polka dots. If you visit her blog, http://jenskinderkids.blogspot.com/, you will know exactly why I chose polka dots!! I had soooo many products to choose from. Jen's store is filled with so many fantastic products. At first, I was going to feature her Dinosaur Unit. Then, I thought about the May Math Journals. Finally, I decided on Beach Time Fun!! I am so glad that I did too. My students had a blast with the stations and were very engaged in learning. 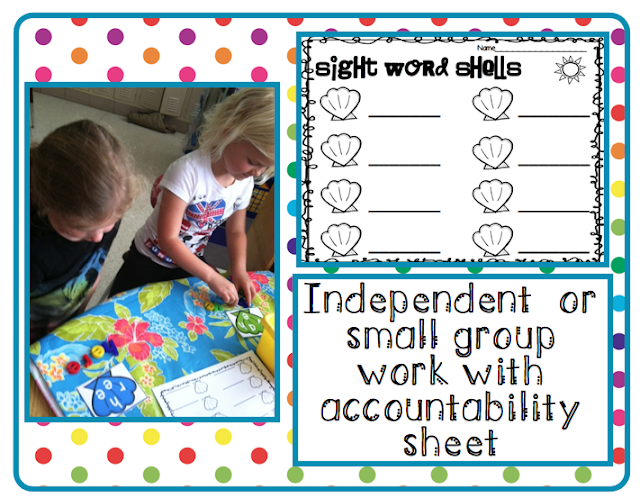 Here are a few pictures of my kinders engaged in Jen's Common Core aligned beach-themed literacy stations. Jen recommended letter tiles to use with the activity below; however, I used magnetic letters. They were something that I already had in my classroom and worked very well with the activity. Not only did the kids learn from this station, it also had an accountability sheet included. 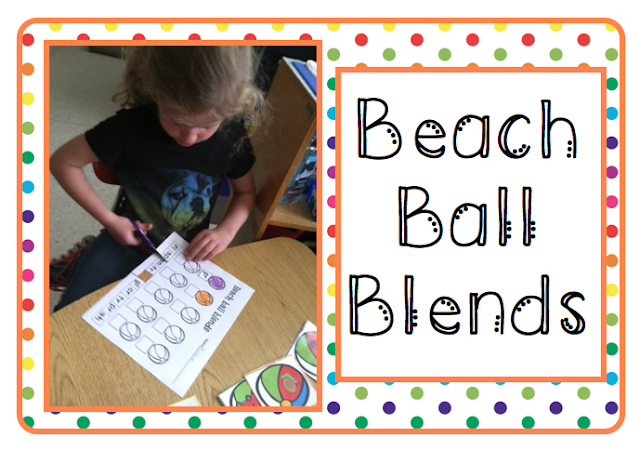 The second station was called "Beach Ball Blends". In this activity, students were to find the beginning blend that matched the picture. The beach balls were outlined in a color. Students had to color the beach ball the color of the outline. Students cut and pasted the correct answer onto the accountability sheet. Another group of students worked on "Sailboat Syllables". I am sooo glad that Jen included a syllable activity in this packet. My students need practice with this skill. 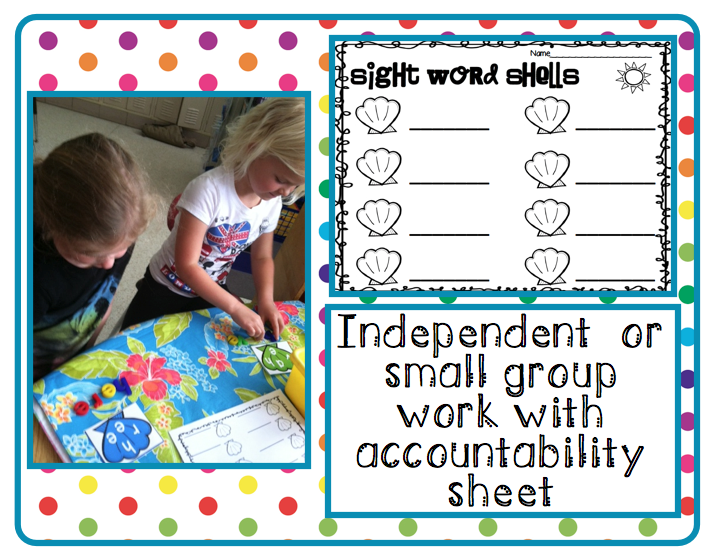 The accountability sheet was easy to use and the activity was very engaging. Another literacy station included was called "Digging Up Rhymes". 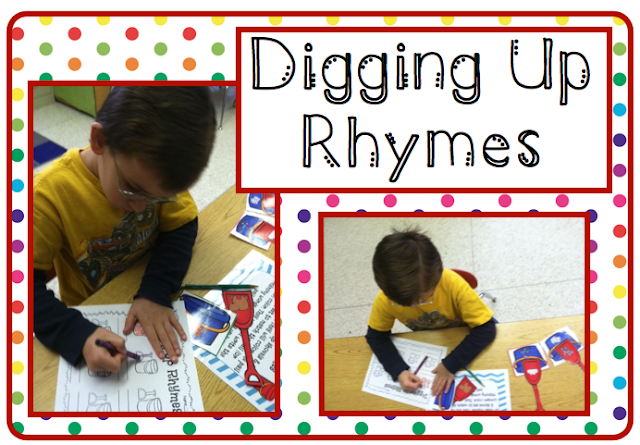 Students were instructed to match the shovel to the bucket. Each pair were sets of rhyming words. My students enjoyed these activities so much. They were engaged and on task too. 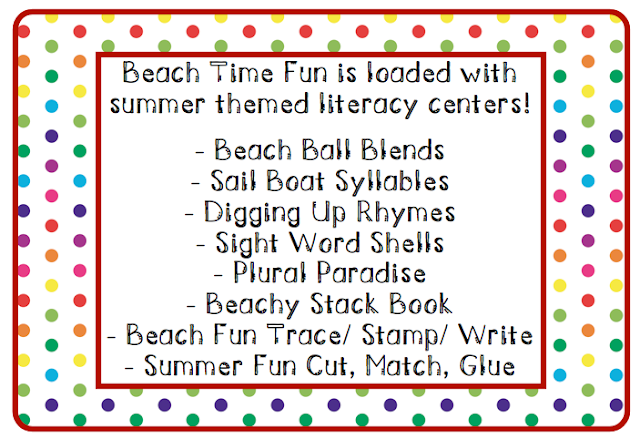 There are so many other activities included with the beach-themed packet. I have listed all the activites and literacy stations included in Beach Time Fun. 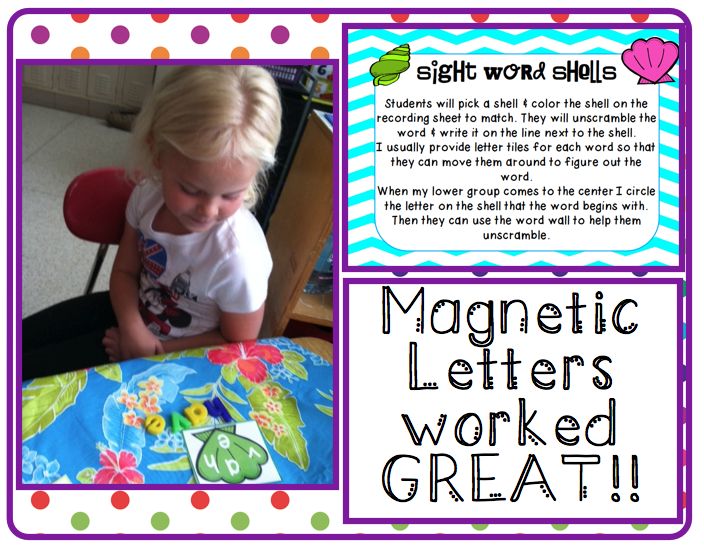 Please head on over to Jen's Kinder Kids Blog or TpT store. You won't regret it!! Leave some love below and head on over to check out Jen's Kinder Kids Blog!! 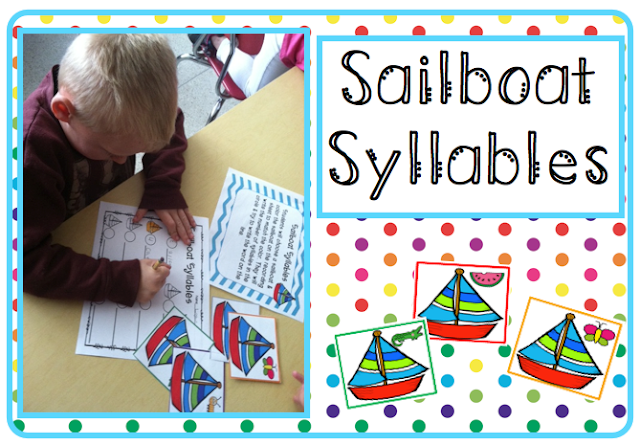 I just love teaching with anything ocean, sea, pirate or beach themed. This unit looks amazing!